Hello and welcome to our page and webcomic! We are upmost pleased and happy that you found here, and we sincerely hope you'll enjoy the story! Take your time, look around or follow us on one of our social media channels to stay up to date for news and updates - or leave us feedback of any kind, we appreciate it, if you're not a troll. If you encounter issues with the display or any function of the site, please don't hesitate to report back to us (see contact) and we'll be trying to fix the problem as soon as possible. 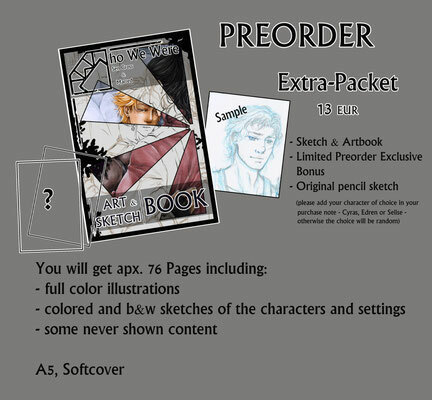 As you might've noticed already, the webcomic is back on track and updating weekly. Starting today, the weekly update will happen on Sunday instead of Monday. Partially because we're planning something big for this year's May; you might have an inkling what that will be! Correct! A printed issue! 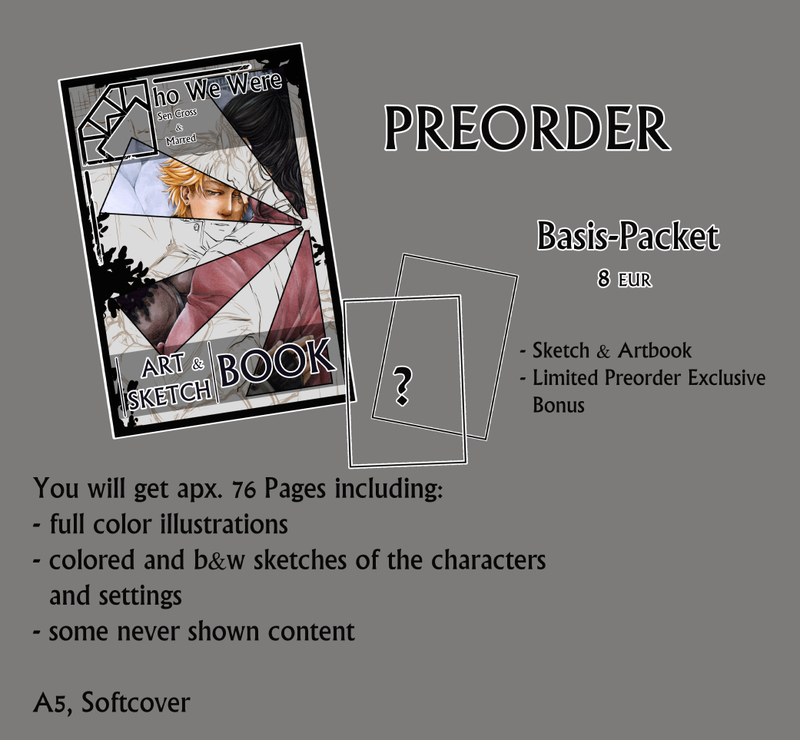 Further infos regarding this will be published in February, so stay tuned! There's also new items in Sen's shop (back from the winter break), so treat yo'self! Dokomi is over - We're so happy that so many of you visited us at booth 290 to shop or just chat! It was great to hear personal feedback and to get in touch with you guys personally :) Thank you so much for your patience since we aren't able to keep every update due to fulltime jobs and pre-con-crunch, but I've got some good news as well! 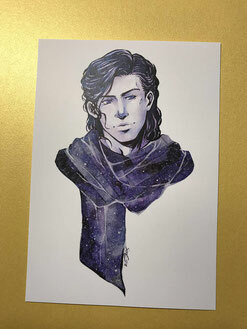 Sen launched a special raffle containing sketch originals, aceo originals, and aceo prints! Get your chance at some sweet loot on Facebook (or Twitter)! 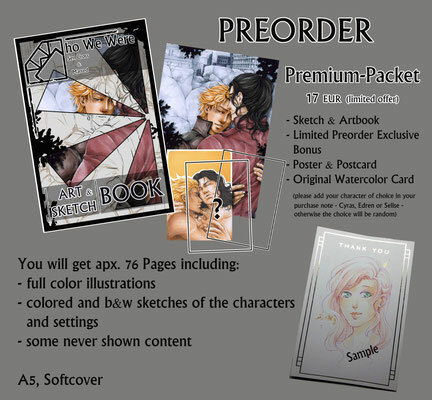 Additionally, Sen just launched a huge Sale on her tictail store where you can save up to 75% of the regular prices for ACEO prints, Prints and Posters! We've also added some new items to the shop! 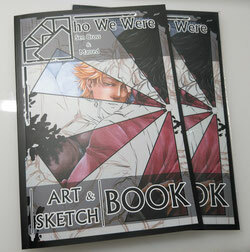 From now on until 05.03 you can preorder our W3 Sketch & Artbook! 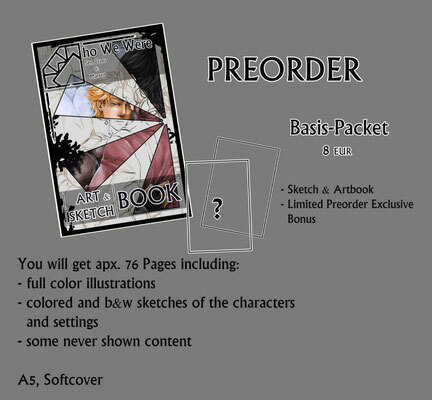 There are 3 different packages that you can choose from, you can see more about them in the respective offers. The monday update is live with a new page. You can find all conventions we'll attend on the convention-plan. A big and merry welcome to our grand opening! Page Updates are scheduled for mondays so far. We're sorry that we currently can't promise that there will be a new page every week due to commitments in terms of life and work on both sides. But we'll try our best to keep you covered with regular updates! !